If you’re working on your climb to rise to the top it’s good to know what the top is really like, and what it took others to get there. Finding your Benchmarks is a helpful step to identifying where you’re trying to go. Benchmark – a standard or point of reference against which things may be compared or assessed. No matter what you’re looking to do someone has “been there and done that“. They may not have done the exact same thing you’re looking to do, which is ok. The important thing to keep in mind is that there are close enough examples of people who have succeeded in doing similar things to what you want to achieve. If you’re looking to be a world renowned surgeon, there are people who have done that. If you’re looking to be a highly acclaimed author, there are people who have done that. If you’re looking to be a highly appreciated public figure, there are people who have done that. I’m sure you get the point. Find the people, or guiding stars, that have done the things that you are wanting to and study them. Learn from examples of people who have risen to where you’re trying to go. Look for multiple examples of guiding stars, because there will be different ways people were able to achieve their results. Each person’s story has lessons in it that can be helpful to you too. Guiding stars are great because you can learn a lot from them. Benchmarks serve a different purpose by providing a standard to achieve on the path towards your goal. A benchmark portrays the level of quality of whatever you’re looking to achieve. It is helpful to find a benchmark in your industry however not all benchmarks need to be in the same industry. For example if you have a medical practice, you should aim to find the leading medical practices in the nation and maybe even the world. However you could also look to a company such as Macintosh for their innovation or Jet Blue for their customer service. Identify what you’re striving for as the benchmark and if you want to challenge yourself you can aim to even improve upon it. Ensure all of the things you do are aiming to be up to or exceed the level of standards of the benchmarks you have identified. This is important because you’re looking for similar results to what the benchmark has achieved then your efforts need to be up to the same level as it took others to achieve that benchmark. Mentors can be a really great addition to your team as they most likely can also serve as a guiding star and help define the benchmarks that you need to strive for. Look for mentors who have the experience and can guide your actions. There are a couple of really important things to consider when selecting a mentor. Choose a mentor that has experience and knowledge to help you grow in the areas you need. Having an experienced person help you that doesn’t have the needed knowledge will not be as effective as if you have someone that knows and can help you determine the steps you need to take. You’re role as a mentee is vital. A mentor can provide guidance but it’s up to the mentee to show initiative and be proactive to get the most benefit from their mentor. Do not expect your mentor to hunt you down to give you advice or do your work for you. Come to your mentor prepared and take action on what they advise you to do. Select more than one mentor to help you grow. Having several mentors can offer different perspectives and knowledge as well as spread out the time and attention you may require for mentoring among several people. A mentor’s time is very important and should be utilized wisely. 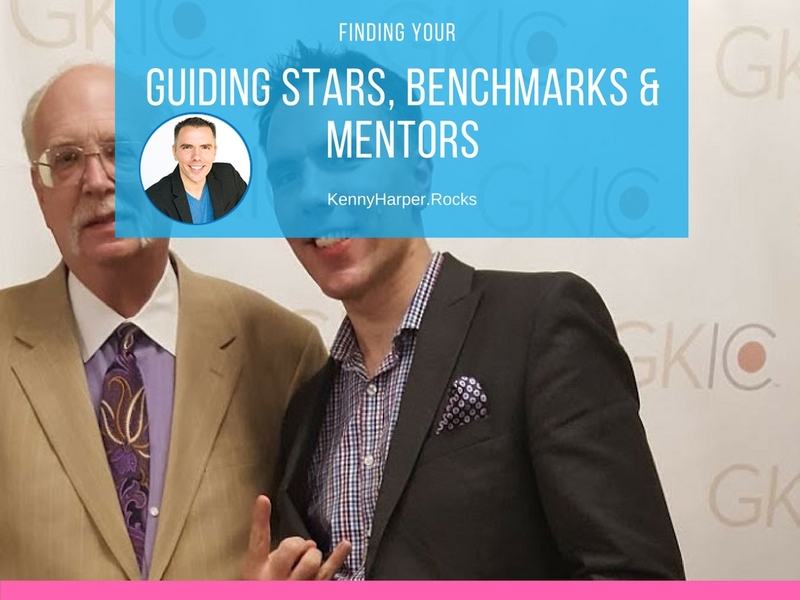 What process do you use to find your Guiding Stars, Benchmarks & Mentors?